Hey there, we’re back with another installment of the HMI Blog’s “New Year, New Challenges” series! Each week, we’ve been looking at one of the various industries our clients deal in and discussing what’s coming up for them in the new year. While you’re here, check out our other installments! Today, in our second-to-last “New Challenges” post, we’ll take a look at the electrical supply industry. Like IT, electrical commodities are ubiquitous in the modern world. They’re in the lights above our heads, the wires under our feet, and everywhere in between. As digital continues its conquest of the analog world, the materials and products that power it can only grow more important. But even a growing industry faces challenges, and like a sunny day on a Spielberg beach there’s always a couple of sharks lying in wait under the water. Let’s take a look at what’s in the cards for electrical in 2019. Let’s do good news first. Electrical distributors and contractors are confident that they’ll see some growth in 2019. Even with that year-end stock market rollercoaster, 2018 finished off with a strong economy and high consumer confidence. Economic indicators suggest that’ll continue: In Electrical Wholesaling’s third-quarter audience survey, electrical distributors predicted industry sales to increase by 6.1 percent, more than the 5 percent increase in 2018. The Electrical Distributors (tED) magazine reported members of the National Association of Electrical Distributors (NAED) as feeling confident about most of the year, through predicting a slight downturn in business near the year’s end. In all, Industry leaders are going forth into the new year with an upbeat, bullish attitude, ready to implement expansive and growth-oriented business practices. Smart technology is still in its nascent stages, but it’s pretty clear that it’s here to stay. Ever since the first motion-activated light turned on and blew our minds, we’ve been obsessed with finding ways to make our lighting smarter. Lighting products today might feature color-temperature controls, full-building automation, or data-gathering capabilities. “Connected lighting,” as it’s come to be called, streamlines the end-user experience to maximize ease and efficiency. Speaking of efficiency, there’s the continued rise of the light-emitting diode. In the past decade or so LED lighting has seen a meteoric rise, with cautious initial investments starting in 2008 and expanding tremendously in 2013. That trend is only expected to continue. In its LED Lighting Forecast, the U.S. Department of Energy predicted that LED lighting would take over the market, representing 84% of sales in the general-illumination market by 2030. That’s a 40% reduction in lighting energy consumption, and a reduction of greenhouse gas emissions by around 180 million metric tons of carbon dioxide. Differentiators are the name of the game in a crowded market, especially one that has to contend with eCommerce giants like Amazon. (So, basically all markets nowadays.) 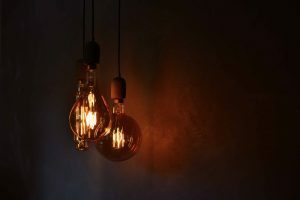 Industry experts have predicted that 2019 will be a “shakeup” year for lighting, with the newly-saturated market encouraging companies to focus on what differentiates them. If you’re familiar with electrical, or with some of the other industries we’ve covered, you probably know what that first shark in the water is: labor. With a growing industry that requires increasingly complex training to bring in service revenue, you’d better hope you have the labor force to make it all happen. The past year has seen rising concerns about skilled labor shortage across a range of trades, including electrical distributors and contractors. We’ve been over this too with HVAC: more people are leaving the skilled trade workforce than entering it, and distributors are now working on finding ways to attract new hires. An economy in the optimistic, “bull” stage usually means good things for businesses. But, again, there are always those “bear” trends. Factors such as tariffs on imported materials, rising interest rates, and inflation have industry experts somewhat unclear on what the future will hold for the electrical industry and the wider economy. Construction, Basu’s home turf, is one of the industries most closely associated with electrical distribution. It and other industries, such as HVAC and automotive, are tightly woven into the electrical distribution channel, and disruption at one step of the channel can mean disruption all over it. If you’re paranoid like me, you might look at the current global market and wonder whether that’s ominous Jaws music you’re hearing in the distance. In all seriousness, the electrical supply industry is in a strong place and will likely see a good year, though not a record-breaking. Industry experts are predicting a slight slowdown, but not a worrisome one. Still, in a crowded market with a somewhat uncertain year ahead of them, many electrical distributors will have to consider how best to meet the challenges they face. If you’re an electrical distributor, we’ve got your back. HMI’s incentive solutions are designed to help companies like yours combat these challenges with programs that increase market share, build customer loyalty, enable your channel, generate brand awareness, and more. Want to hear more about how an incentive program can help your business? Book a meeting with us today!